These individual football player trophies are crafted in durable resin and feature a detailed figure of a (male) footballer in action heading a ball. They figure is mounted on a triangular base with engraving plaque. 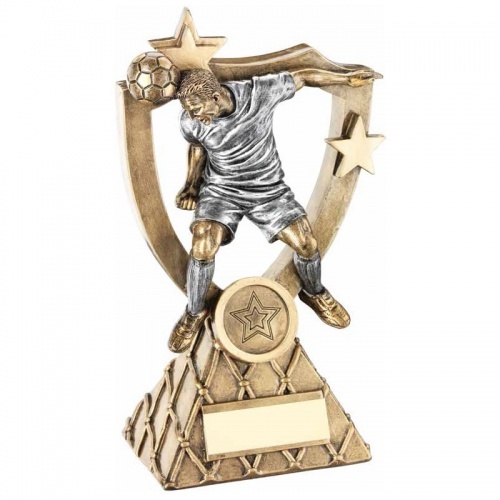 These awards are 6.5in / 165mm tall and are offered here with engraving options for the base plaque.